The hottest peer-to-peer payment app also happens to be a hot social network. The Venmo mobile payment app boasts a huge user base, a sleek interface, flexible payment options and agility at splitting bills. Owned by PayPal, it's the peer-to-peer payment app to beat, as long as you don't mind getting social about the tabs you're picking up. Our only gripes are that it won't let you send or receive payments as a guest, and we wish it would let you adjust individual amounts when splitting a check. If you'd rather not shout your purchases to the sky, check out the other mobile payment apps we reviewed. 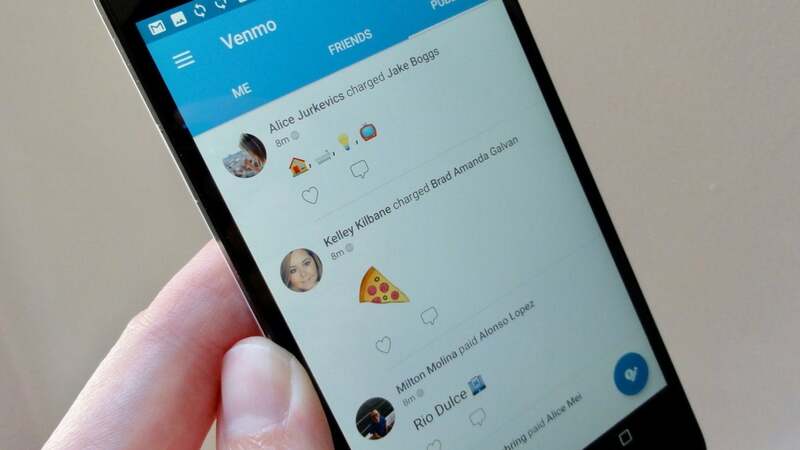 The easiest way to create a Venmo account is to connect the app to your Facebook account, although there is an option to use your e-mail address. You'll also have to enter your phone number to receive a verification passcode via SMS. Once that's done, Venmo will start bugging you to scan your Facebook friends and address book—understandable, given Venmo's relentless focus on social. The good news is that Venmo won't nag your contacts about joining. Instead, it's simply adding their names and contact info to your list of possible money buddies. After adding friends (or not—you can always do so later) to your Venmo profile, you'll jump to the main interface, which is essentially a social feed detailing countless emoji-stamped Venmo transactions, minus the actual amounts. Venmo isn't just about splitting the check; it's also about sharing your payments with the world. Atop the feed are three taps: one that shows a feed of global Venmo activity, another tab for friends, and a personal tab on the right. In case you didn't get it before, Venmo isn't just about paying your pals—it's also about sharing your payments with the world, if you choose. You can add up to six debit or credit cards to your Venmo account on a rolling six-month basis, meaning if you delete your sixth card from your account, you'll have to wait for the current six-month cycle to expire before you add another one. Debit and credit cards only let you send cash, however; to receive money, you'll need to add a bank account, too. At last, time to spend. To send or request cash, just tap the Compose button in the top-right corner of the main Venmo interface, add a name (or names, if you're questing money from a bunch of lunch pals) from your list of Venmo friends (and given Venmo's estimated 7 million active monthly users, you've probably got plenty), enter an amount, then tap Request or Pay. You can send money or request a payment from anyone, as long as you have their e-mail or phone number. That said, the other party must sign up with Venmo before they can receive money or pay you. While signing up with Venmo isn't a huge hassle, we prefer it when money-sending services let you pay or receive cash as a guest. Want to split a bill? Once you've added some friends to your Venmo request, you can enter the total amount of the bill, then divide, multiply, add to or subtract from the total using the calculator buttons on the left side of the number pad. Unfortunately, Venmo only splits bills equally. If one person owes more than another, you'll have to send a separate money request. Venmo makes it easy to split the tab with your pals, but it won't let you edit individual split amounts. 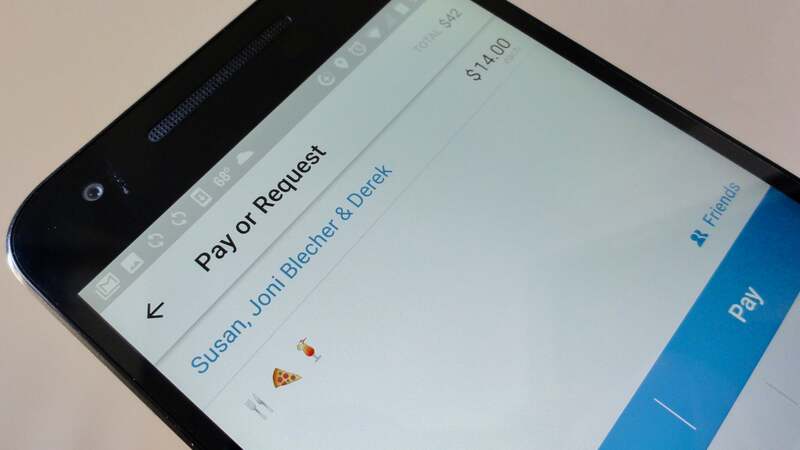 Before you send off your Venmo payment or request, you can finish it off with a note (like "lunch" or "a round of drinks") to the "What's it for?" section, or even add some emoji—anything from a tiny beer cup to a grilled cheese sandwich. If you want to get social about your transaction (and a surprising number of Venmo users do), an audience selector lets you choose whether to share your Venmo exchange with the world, your friends, or privately. The default is "public," which you can always change from the Settings menu. You can send cash to friends from your debit card or bank account for free. If you use a credit card, though, expect to pony up a three-percent fee (unless you're paying a Venmo-affiliated merchant, in which case the fee will be waived). Venmo has a $299.99 weekly rolling limit for transactions. Once you hit the limit, you can raise it up to $2,999.99 by confirming your identity with the last four digits of your Social Security Number, your ZIP code, and your birthday. If you want to pay a friend who isn't in your Venmo friends list yet, no need to awkwardly search for their account in Venmo. Instead, just scan their Venmo code—a QR code that'll instantly connect the two of you, at least as far as Venmo payments go. 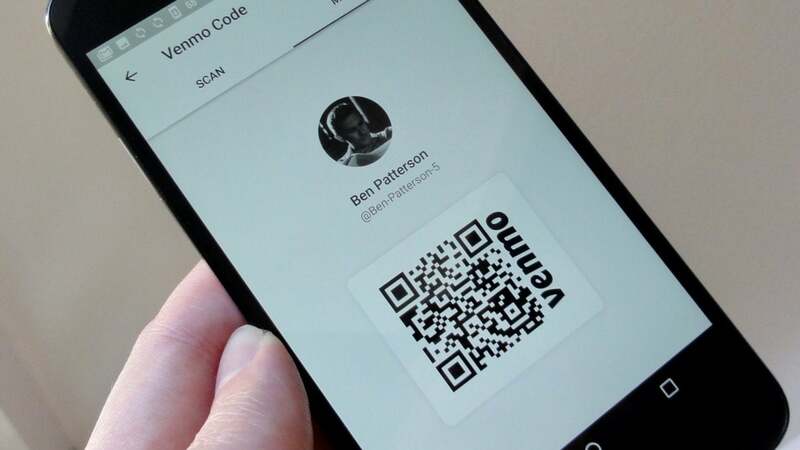 You can use your QR-style Venmo code let a nearby buddy add you to their Venmo friends list. You can also send Venmo payments via IMessage using Venmo's iOS iMessage chat app, or ask Siri to send or request Venmo cash. Finally, instant cash transfers (or relatively instant, as in a few minutes) are coming "soon" to Venmo, as long as you're willing to pay 25 cents per transaction. You can set Venmo to require a PIN or touch ID before completing a transaction, handy from keeping a phone thief from draining your bank account via the Venmo app. But as with most of the other apps in this roundup, once you've sent money to someone, the cash is gone, even if you accidentally send the money to the wrong person. Using Venmo to exchange cash can be a bit clunky if you're new to the club or if you're shy about whose tab you just picked up. But once you and your closest pals are all signed up (and they probably already are), you'll be splitting checks with elan.